President of the association DAB : Joséphine BARARWENDERA. Primary school Mabayi, Hill KABERE, Municipality Mabayi, Province CIBITOKE, Burundi. Make water available for the primary school and the Lyceum of Mabayi. Creating habits with the pupils related to hygiene. Cleaning of classrooms and toilets. Allow near-living families to use the captured water for the laundry. Learn to use water economically. Primary school and the nearby located Lyceum of Mabayi. All neighbours and youth of several youth organisations. Decrease illness and diseases, caused by lack of hygiene. Keeping the school and the surrounding houses clean. Available water in the dry season (at reduced well capacity). P.S. : The number of meters along the roofs of the primary school of Mabayi is 158m on the First and 168 m at the second building (total 326m). 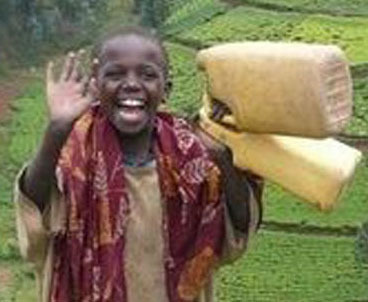 New year 2012, and we visit to the project ‘captation of rainwater’ at the primary school of Mabayi – northern Burundi. The gutters are already placed. Two of the four shells are also connected. Four reservoirs of 5000 litres will be installed instead of the two reservoirs of 10000 litres, as the transport of the large containers was not possible. There are plans to align some taps mainly to wash the feet in the rainy season. Further enlargement/finishing is to be expected in spring. Thanks to the support of 'Vleugels van Hoop' vzw the association D. A.B. 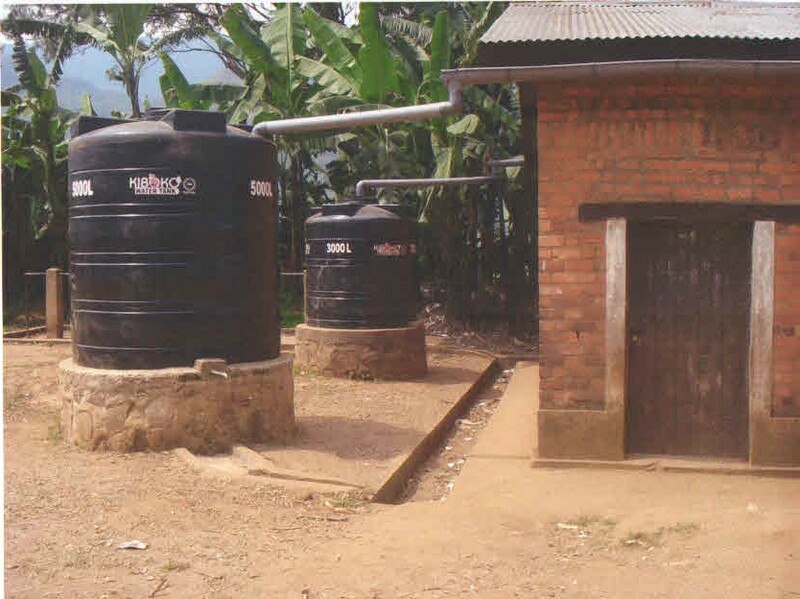 from Mabayi, Burundi has installed four reservoirs to collect rainwater in the lower school . The shells, with a total volume of 16000 liters are ready for use. The school pupils, students from the nearby Lyceum, the inhabitants of the parish and the surrounding area can shower and do their laundry thanks to this rain water. They use the water to maintain the classrooms , but also for homes in the surrounding area. In the name of the whole population that use the water the association D. A. B is grateful to all friends of 'Vleugels van Hoop' 'Gira ivyo Mutanga n'ivyo musigarana' = 'I wish you a lot to give and much to keep for yourself and your family'. Cyane Murakoze.